Good design, you know it when you see it. You also understand and appreciate that using natural elements in your designs makes good design even better. Stone Farm gets it too. 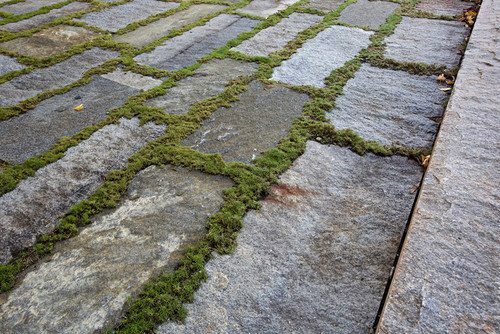 Our reclaimed stone products are the perfect mix of natural and historic elements that make your great designs stand out. 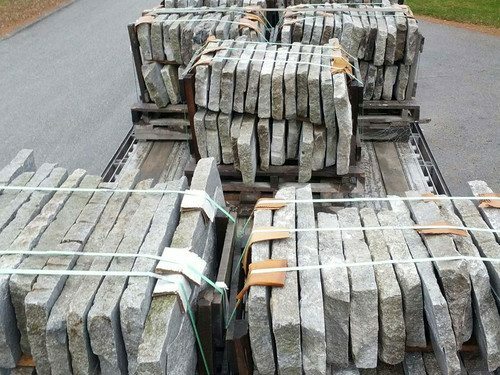 Our New England Granite Planks are harvested around New England and come in a range of dimensions, surface textures and edge treatments. These inherent differences make for a material that can be sorted and utilized for a range of paving applications. 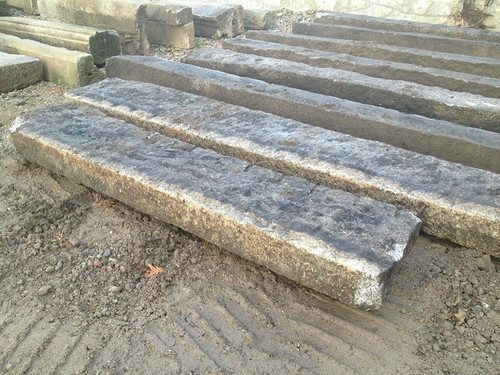 The textured but very flat surface of this antique stone pavers makes them suitable for applications where the surface needs to be completely flat or the joints need to be nice and tight. Many of these pavers will show many years of wear and weathering, along with hand tooled surfaces. From plank to square shapes, these pavers come in a range of sizes. Specs -Textured smooth face with natural sides. 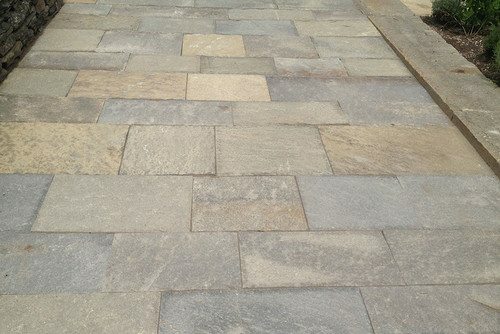 Applications - Refined patios and can be sorted for driveway applications. 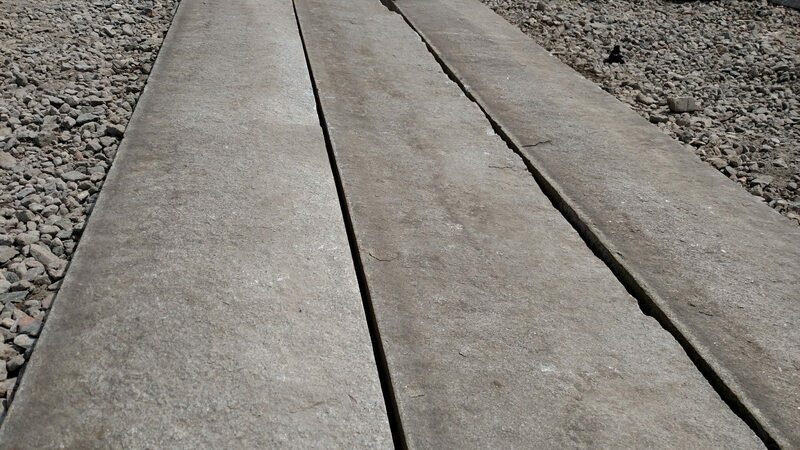 Hand hewn limestone has an ancient feel even before it has been worn, weathered and walked on. Centuries of exposure to the elements give this material an almost magical look. Many of these pavers were hand chiseled for traction, providing a very unique surface texture. 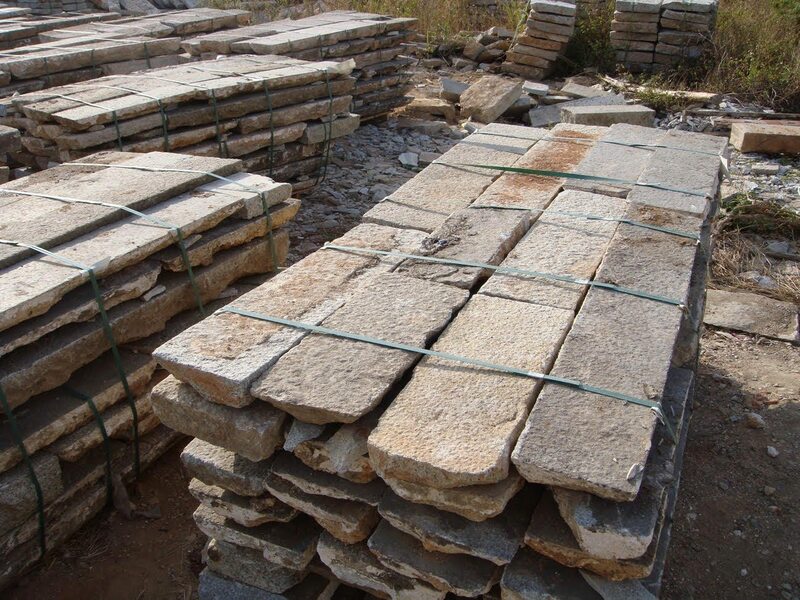 Often times reclaimed stone will have a beautiful surface or shape, however, the thickness might not work for a particular application. 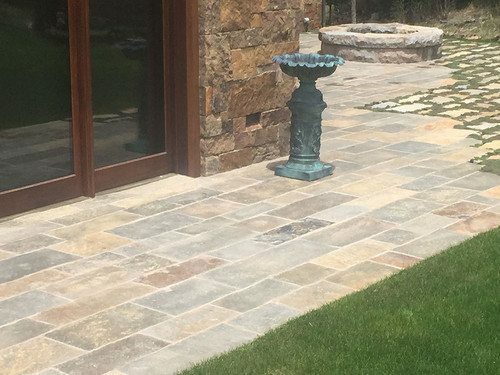 Our gauged pavers are created by sorting material with great paving surfaces and then cutting them to a desired thickness, creating a product that is easier to install and perfect when setting in a bed of mortar. The size of the joint or space between each paver is also a key element of design. In designs where a tight joint is specified, sawn edges may be necessary. 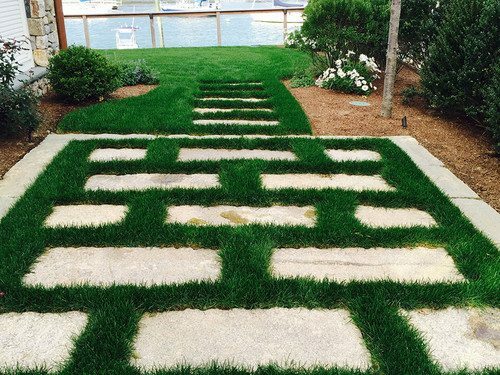 If a looser joint is desired, for possible planings or grass in between, a more natural edge will work and installation costs can often be less. When considering materials for a patio application, the first question should regard functionality: What type of finished surface is required for the space? 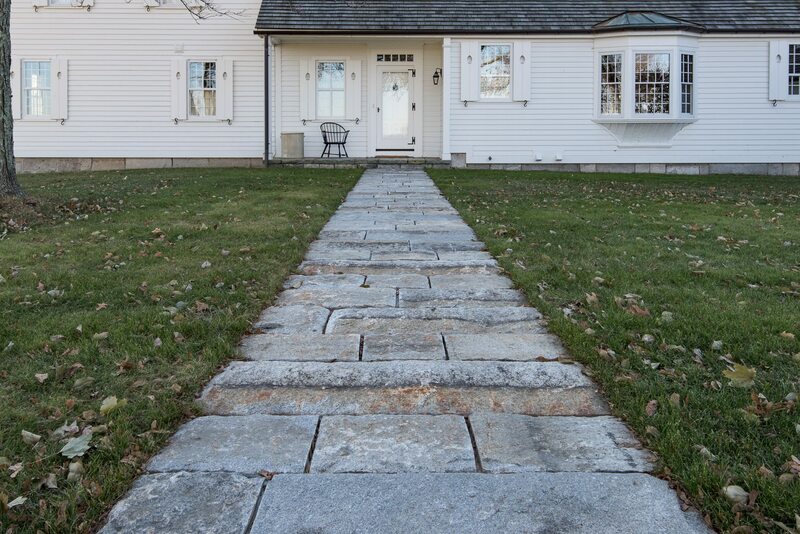 Stone Farm loosely classifies surfaces from rustic (more surface variation) to refined (more of a uniform surface). For example, a rustic surface might be fine around a fire pit or a walkway, but would not be suitable for a location with tables and chairs.